Promotion runs Friday, January 18, 2019 through Friday, February 8, 2019 after the 7:00pm drawing. Weekly drawings will occur on Fridays, January 25, February 1, and February 8, 2019 at 7:00pm at each location for 2 winners. Drawing prizes include hot chocolate gift set, Starbucks gift set, and Yeti tumbler. Grand prize drawings will occur on Monday, February 11, 2019 at each location. 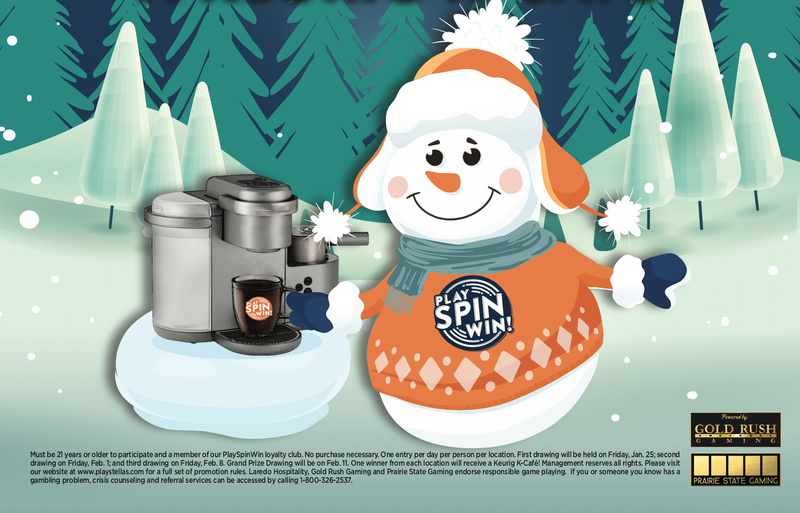 Grand prize will be for one (1) Keurig Café at each location. Guests will be able to receive one (1) entry per person, per location, per day. Guests can win one (1) prize per location per day. Non-winning entries will remain in the drawing entry bowl for the duration of the promotion. PROMOTION OVERVIEW: The 2019 “Warm Up to Winter” Drawing Giveaway (the “Promotion”) will be available at all Stella’s Place and Shelby’s locations. These gaming cafes/restaurants operate under the ownership and management of Laredo Hospitality Management, LLC, with video gaming provided by Gold Rush Amusements, Inc. (“Gold Rush”) and Illinois Gaming Investors, LLC d/b/a Prairie State Gaming (“Prairie State Gaming) (“Sponsors”). The promotion starts Friday, January 18, 2019 when such Gaming Café opens and ends Friday, February 8, 2019 at 7:00pm when the final weekly drawing is completed. 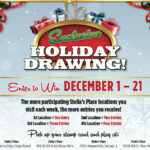 The “Warm Up to Winter” Drawing Giveaway will allow guests who come into a Stella’s Place/Shelby’s to receive one entry card per person, per day, per location to be entered in weekly drawings. Guest must provide name and phone number to qualify to win a winter gift item. Friday, January 25, Friday, February 1, and Friday, February 8, each location will draw two (2) winners at 7:00pm. Prizes awarded on those dates are as set forth in Section 6 hereof. Guests can win one (1) prize, per drawing, per location, but can win multiple days throughout the promotional period. 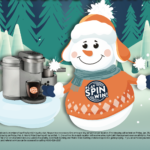 On Monday, February 11, 2019, each location will draw one (1) Grand Prize winner for a Keurig K-Café Special Edition Single Serve Coffee, Latte & Cappuccino maker. Winning entries will not be put back in the drawing entry bowl. Non-winning entries in the drawing entry bowl will not be emptied and will remain in the drawing entry bowl for the duration of the promotion. Guests do not need to be present to win. PROMOTION DATES: The “Promotion” will begin in all participating Gaming Cafés on Friday, January 18, 2019 when such Gaming Café opens that day and ends on Friday, February 8, 2019 at 7pm (After the completion of the drawing). Two (2) names will be drawn Friday, January 25, Friday, February 1, and Friday, February 8, 2019 at 7:00 pm by a Laredo Guest Service Host and the winners will receive one (1) winter gift item. 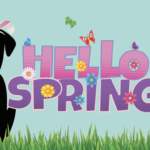 Grand Prize winner of a Keurig K-Café Special Edition Single Serve Coffee, Latte and Cappuccino maker will be drawn on Monday, February 11, 2019. PROMOTIONAL DETAILS: Starting Friday, January 18, 2019 when such Gaming Café opens and ending Friday, February 8, 2019 at 7 pm, every eligible entrant who visits a participating gaming café, is a member of the PlaySpinWin program, and provides a phone number can receive one (1) entry per day, per participating location, while supplies last. Two (2) winners will be drawn Friday, January 25, Friday, February 1, and Friday, February 8, 2019 at 7:00 pm, at each participating location. Grand Prize winner will be drawn on Monday, February 11, 2019. Guests do not need to be present to win. Non-winning entries in the fishbowl will not be emptied after each weekly drawing. A good faith effort will be made to contact winners. Winners will have 14 days, from the day the prize was won, to claim their prize. Any prizes not claimed within 14 days of the date won will be forfeited and will not be awarded. Winning names will not be put back in the drawing entry bowl. NON-TRANSFERABLE: Prizes are not transferable. One (1) entry card per person, per day, per participating location. Not responsible for lost or stolen prizes.